The Classic Car Travel Guide is the perfect match of classic cars and road trips. We’ve traveled to six continents to bring you the top classic car sights and road trip ideas in the world. 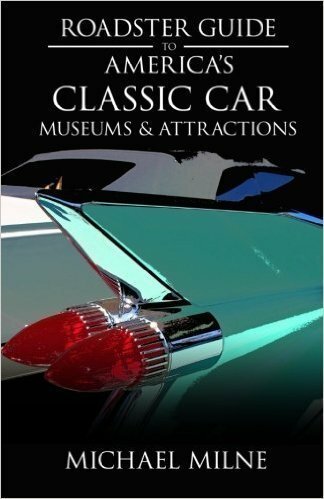 Under the hood of the Classic Car Travel Guide are several categories of stories related to classic cars and road trips. Check the description of each one below. Please note: We’ll be continually updating with new stories. You can scroll to the bottom of this page and hit the “Click to Subscribe” button to receive a free monthly round-up of all new posts. We highlight classic Car Museums where you can see your favorite cars, trucks, tractors, and more. If you like classic cars, then you definitely like taking Road Trips. We provide tips for some classic journeys by car. There are many Attractions related to classic cars, like Carhenge in Nebraska, that we showcase here. Want to read more? We provide Book Reviews for some of our favorite books about classic cars and roads trips.